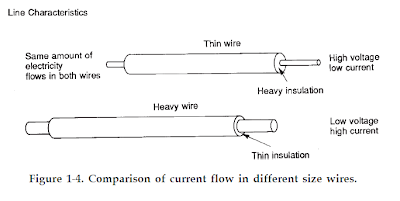 The flow of electric current may be visualized by comparing it with the flow of water. Where water is made to flow in pipes, electric current is conducted along wires. To move a definite amount of water from one point to another in a given amount of time, either a large-diameter pipe may be used and a low pressure applied on the water to force it through, or a small-diameter pipe may be used and a high pressure applied to the water to force it through. 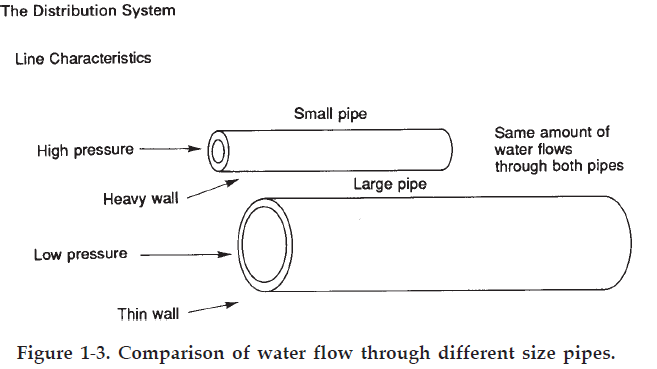 While doing this it must be borne in mind that when higher pressures are used, the pipes must have thicker walls to withstand that pressure (see Figure 1-3). The same rule applies to the transmission of electric current. 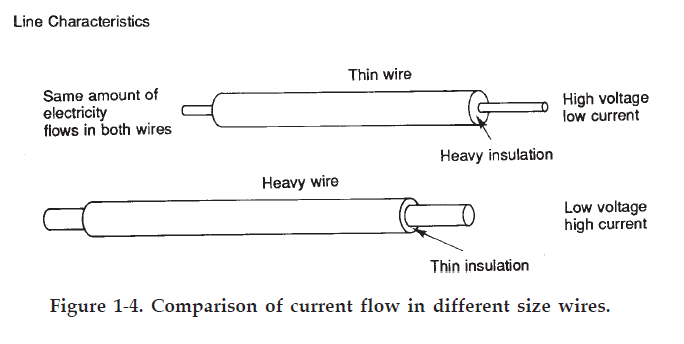 In this case, the diameter of the pipe corresponds to the diameter of the wire and the thickness of the pipe walls corresponds to the thickness of the insulation around the wire, as shown in Figure 1-4.